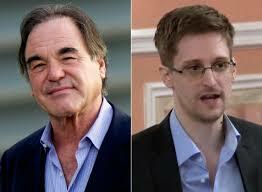 Oliver Stone‘s untitled Edward Snowden film, starring Joseph Gordon-Levitt as the NSAwhistleblower, is going the indie route after failing to find a taker among the major Hollywood studios. Open Road Films, which released Stone’s George W. Bush movieW., is picking up U.S. rights to the movie, while Wild Bunch is preselling foreign rights to international buyers at the American Film Market this week in Santa Monica. Earlier this month, the project was shopped to several Hollywood studios, but no deal materialized, according to insiders. Sources say studios are nervous after DreamWorks’ The Fifth Estate, about whistleblower Julian Assange, bombed at the box office in fall 2013 — grossing just $8.6 million worldwide. Open Road is no stranger to political films. It is also handling Jon Stewart’s upcoming Rosewater in the U.S.
Stone’s screenplay is based on Luke Harding‘s The SnowdenFiles: The Inside Story of the World’s Most Wanted Man and Time of the Octopus, the upcoming novel from Snowden’s Russian lawyer Anatoly Kucherena. CAA is representing domestic rights. Harding’s nonfiction book traces Snowden’s move from Hawaii to Hong Kong, where he met with documentary filmmaker Laura Poitras and journalist Glenn Greenwald and handed over top-secretNSA documents. Snowden later flew to Moscow, where he sought asylum. Kucherena’s fictional take on the story is based on the lawyer’s time with Snowden while he waited in limbo at the Moscow airport before the Russian government decided to grant him asylum. tone is producing the untitled film with longtime producing partner Moritz Borman. The project is currently in preproduction in Germany with principal photography set to start in January. Poitras’ documentary on Snowden, Citizenfour, is getting Oscar buzz following its premiere at the New York Film Festival and theatrical release on Oct. 24.